Perhaps one of the most widely recognized of the domestic cat breeds, Persians can be found throughout on laps the world over. Their signature coat & arresting are all part of their charm. 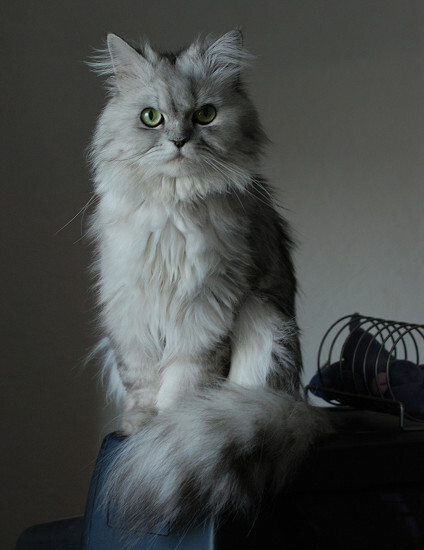 Although this breed is named for their original country of origin, heiroglyphic references to the breed date back to 1684 BC creating questions about the exact origins of the Persian cat. These animals were prized by the Persians, held in higher regard than even spices & jewels. It is rather interesting that an animal from such a southern area would develop long coats. However it is thought that perhaps they migrated down from areas in the south of Siberia. The lack of concrete evidence of their origins may leave this question unanswered. The legend goes that these cats were created by a wizard from a spark, the shimmer of two stars and a curl of grey smoke. The Persian quickly earned popularity upon being imported to England, where cat shows came into vogue in the 19th century. Although originally they were separated by color and called long-hairs. By the late 19th century the breed had been imported overseas to the US where again they quickly spread among the cat community. 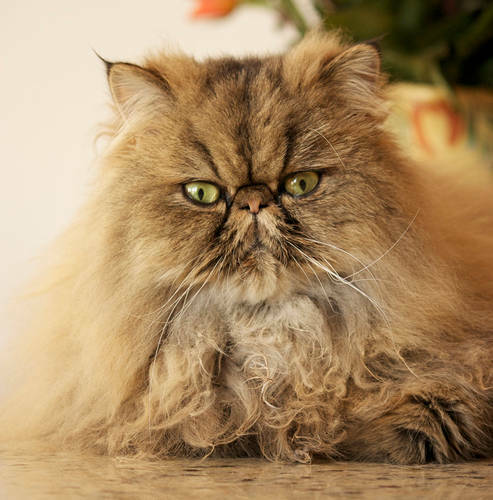 There are a wide variety of Persian types, but they all share the luxurious coat, large expressive eyes and low, widely set ears. 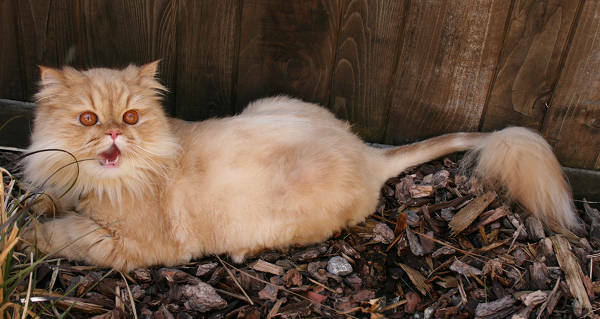 There are seven different recognized color groups within the Persian breed. Solid, silver & golden, shaded & smoke, tabby, parti-color, calico & bi-color and Himalayan (with points). 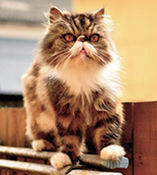 Each one breaks down into an amazing number of color variations making the Persian one colorful breed! We’ve got more ancient cat breed profiles on the way. For now, why not learn more about the ancient Abyssinian, the British Shorthair, Korat & the Egyptian Mau breeds?